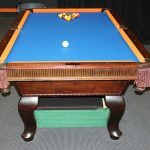 Most people who own a pool table don’t realize that changing the felt color will dramatically change the tables overall look. We recently refelted this seven foot Beach Mfg. pool table for Western Audio Visual’s employee lounge. This was the second pool table service job we’d performed for the client. About two years earlier we refelted the entire table with Brite Orange. This time around the owner thought he’d tone it down a bit and chose Euro. Blue felt on the slate and Brite Orange on the rails. He’s a big Cal. State Fullerton fan! 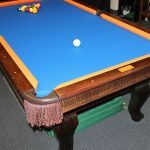 Most folks don’t realize that we offer over 30 different colors of pool table felt. 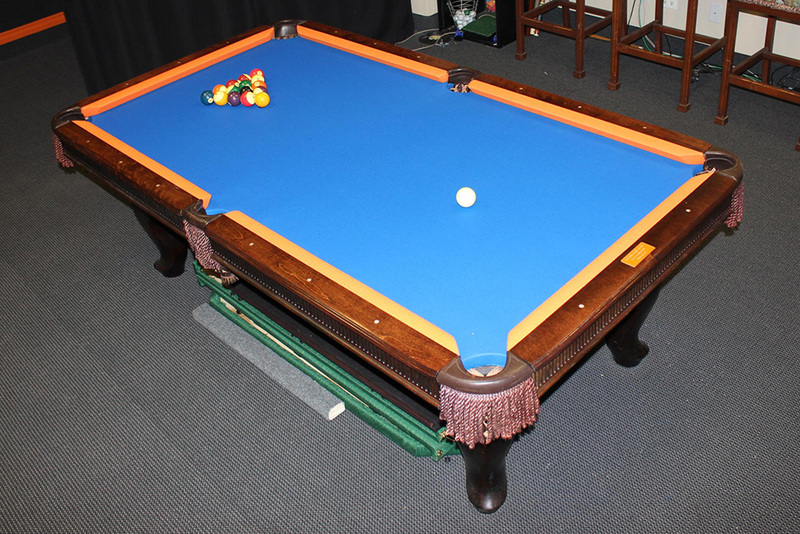 Drop by our Orange County pool table service center to see all of the billiard cloth colors we have available.